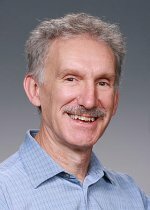 Dr. Philip Rasch, Pacific Northwest National Laboratory Chief Scientist for Climate Science, was quoted in the October online issue of Forbes. The article, "The Great Climate Model," describes the newly developed Accelerated Climate Modeling for Energy (ACME) project, a collaboration between eight U.S. Department of Energy national laboratories, the National Center for Atmospheric Research, four academic institutions and one private company. The ACME team is developing a forward-looking state-of-the-art climate model using high performance computing. In the Forbes article Rasch explains, "Development of the new model requires a significant reframing of process representations and advanced computational methods directed toward the next generation of computers." The new model will aid in figuring out the changes the Earth is going through with climate change. See related: New Project is the ACME of Addressing Climate Change.